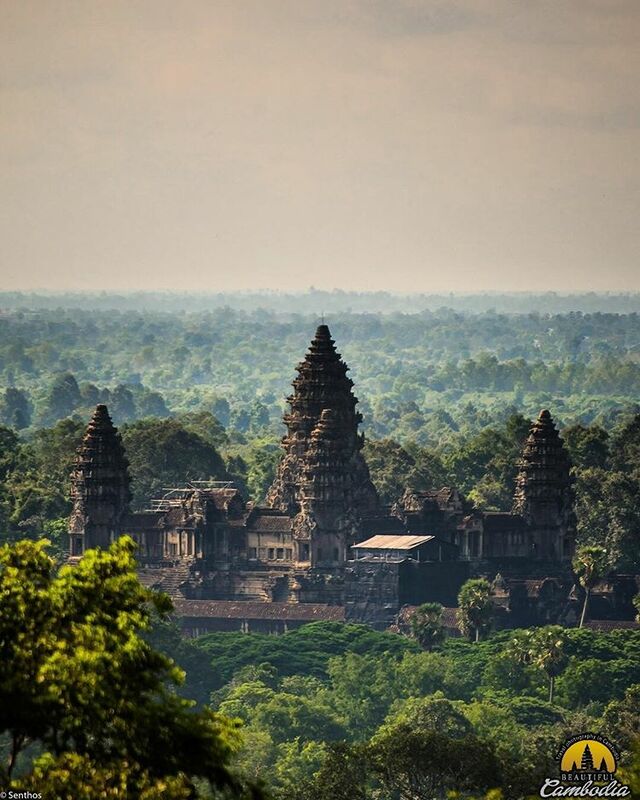 If you are going to visit Bangkok, it is worth considering a trip to visit the famous Angkor Wat of Cambodia. 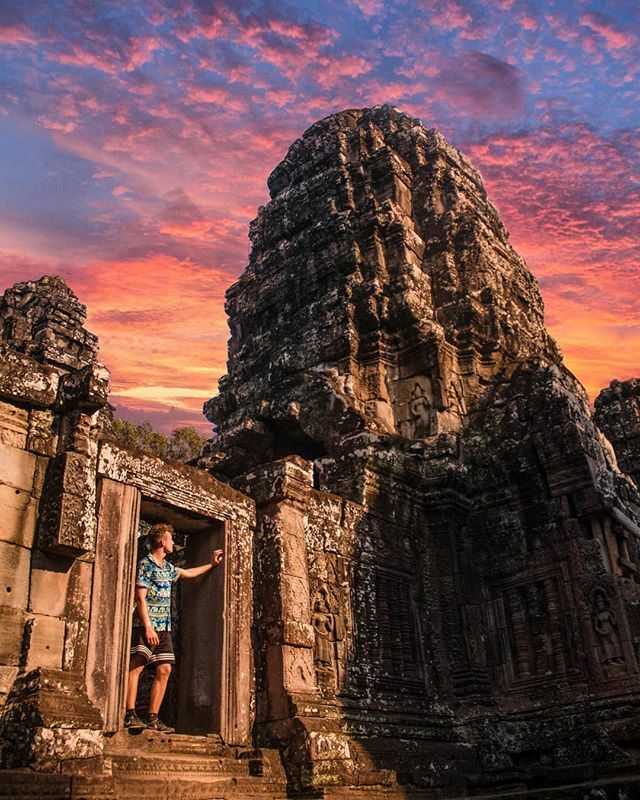 With a shared border, the two countries have been used to tourists visiting one after the other, resulting in an establishment of traveling systems and services that would make roaming from Bangkok to Angkor Wat EASY, FAST and BUDGET FRIENDLY. There are several transportation options, but which one is best for you? Let’s find out. Relatively cheap but easy: Direct bus. It should be just around 1 hour and take you directly from Bangkok International Airport – Suvarnabhumi Airport (Airport code: BKK) to Siem Reap International Airport (Airport code: REP). To date, there are 3 airlines that offer this route. Thai Smile: a division of Thai Airways. They offer two flights per day on average and the price is normally somewhere between $60-$80 one way. Besides these three, Cambodia Angkor Air also offers flights between Bangkok and Siem Reap, however, their flights do not show up on Google Flight. Therefore, it is best to visit their website. The airline has quite a reputation for delaying, which makes it less recommended if the price for the flight you are looking for is somewhat similar to the other three airlines. Take a bus. Obviously not fast, it is much more time consuming than flying. To arrive in Siem Reap, a trip takes around 8 to 9 hours. Now there are two options for this. With the direct bus, you don’t need to change to other transportation on the road, meaning no hassle with moving your luggage. To date, there are only two reliable companies that offer this direct route. First is Transport Co./Nattakan, a service provided by the Thai government. The buses are comfortable, with extra leg room. Their trips start at 8 am and 9 am every day. Tickets can be booked online or reserved in advance. The fixed price for one way is $28, plus a ~$1 booking fee on the website. The second option is Giant Ibis, a very competitive service on the market. The Cambodia-based company is the strongest mobility service provider in the country. The price here is a bit higher ($32 + ~$1 service fee). However, their buses come with helpful, English speaking attendances, who will help you with Visa process at the border, including filling in all the paperwork, handing the documents, and collecting your passports. This is a nice bonus point since tourist groups are commonly processed all at once while it can be a struggle and long wait if you’re trying as an individual. Food is also included on the bus, normally for breakfast and lunch. Toilet stops take place several times during the trip. Tickets can be bought online or preserved beforehand. Their buses leave from Bangkok at 7.45AM daily. If by any chance, you need to get the Visa individually at the border, here is the complete process. Enter the Thai Immigration Building, going through the process to get your Cambodian Visa stamp. The fee should be $30. For children under 12 years-old, it will be free. Exit the building and you will be in Cambodia. 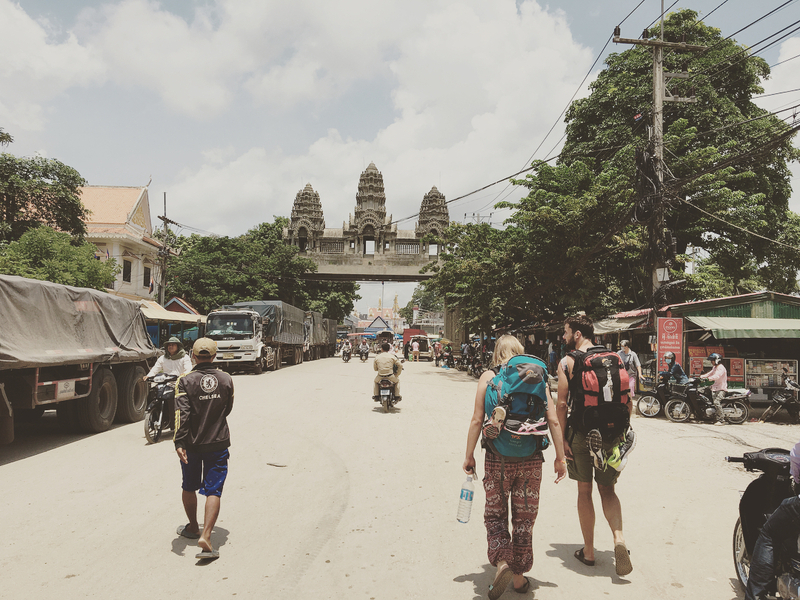 Find your bus and head to Siem Reap. The bus won’t leave until the last passenger gets their visa stamp, so manage your time efficiently to avoid keeping other passengers waiting. You can catch a minibus to Siem Reap at Mo Chit 2 station, there will be a bus every 45 minutes to an hour. Do not try to catch the late bus as the Immigration Office at the border is only open until 10 PM. Any arrivals later than that will have to wait until the next day to be processed. It normally takes 4 hours to/from Bangkok to reach the border. After arriving, pick up your luggage, get in the line to get your Visa stamped through. Once the process is done with, you can easily find a lot of buses heading to Siem Reap on the other side of the border. It would be wise to find one that already has quite a few passengers inside. That way, you can save a lot of time waiting for the bus to be filled. The ticket for these buses can be bought from the attendants or drivers of the buses. In general, it should take around 200 Baht (~$6) to travel from Mo Chit 2 to the border, and $8 to $10 more to get from the border to Siem Reap. Minibuses, overall, are not the most comfortable, especially for tall passengers. The seat is not very comfy and leg room will not be enough if you are over 180cm in height. Tourists on the way crossing the border. Getting an e-visa is also an option if you want to avoid the whole waiting-in-line situation. It costs 40 euros and their website states that it takes 3 days after all the documents are complete. However, this is not always the case, in a lot of cases, it takes up to a week. Therefore, if you are planning to get an e-visa, it would be wise to do it 10 days ahead. Commonly, you will arrive in Siem Reap around late afternoon. It is recommended to take a taxi to your hotel, chill and rest for a night. From Siem Reap central to Angkor Wat, it should not take more than 25 minutes by car, therefore, taking a taxi is the easiest and fastest way. Not to mention, taxi prices in Cambodia are cheap, as in any Southeast Asian countries. If the officer tells you, children, visa fee is only free for kids who travel by their parents’ passport, THAT IS A SCAM. Do not fall for that, they will give stamp “Gratis” for every kid under 12 years-old anyhow. If the officer asks you for the processing fee, there is no such processing fee. It is more a tradition at the border to make 200 Baht out of travelers. If you refuse to pay, they might send you out of the line and wait around for awhile, but after all, will stamp your passport. If you want to just be done with it, go ahead and pay, which most people do actually. 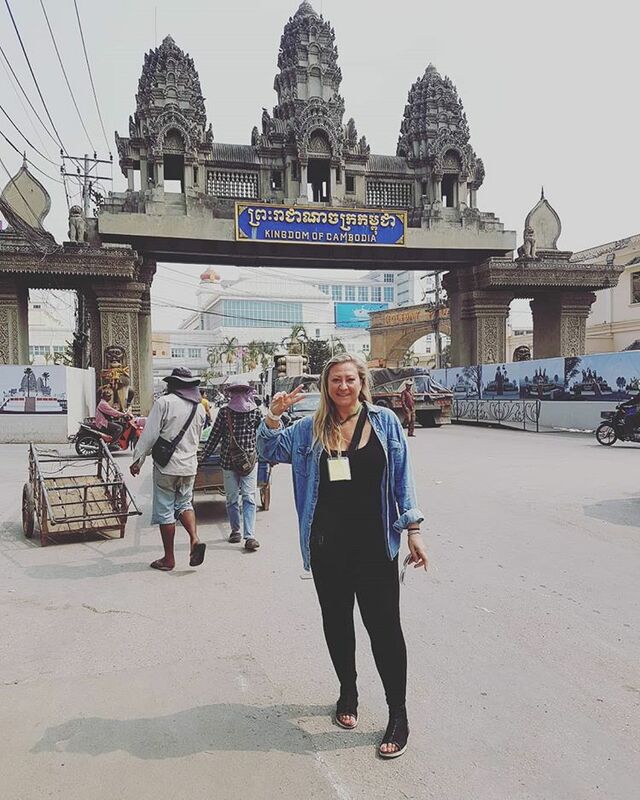 If someone tells you that you must pay the Visa process in Cambodian currency, or pay for everything in Cambodia in their currency, THAT IS A SCAM. You can pay using US Dollars nearly everywhere in Cambodia. Strange but it is true. If someone tells you he or she can help you get through the Visa process in the short and fast way, THAT IS A SCAM. They are just making money and disappear very soon after you pay. There are other options to travel to Siem Reap from Bangkok, like trains or taxis. For the best ways? Definitely by flight or by bus. Least hassle, least waiting time and the price is relatively fixed. As long as you stick to the plan and do not fall for any scam, the amount of money for the trip is certain. 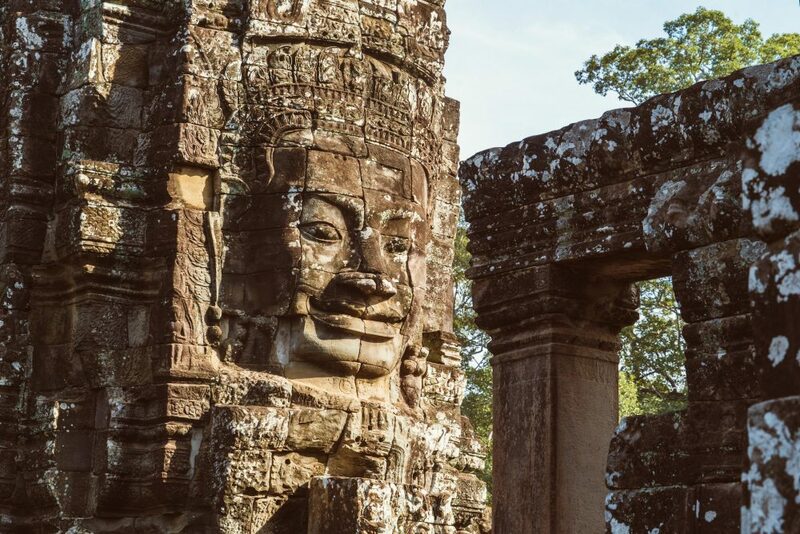 The aforementioned traveling options are going to assure you a safe and carefree route to sweet, beautiful and magical Siem Reap, where stands the magnificent Angkor Wat. What else to say? Welcome to Cambodia. If you still have no idea how to plan your next vacation to Siem Reap, check out our recommendations for Siem Reap itinerary and things to do in Siem Reap! Floating villages in Siem Reap: what tour should you try? Kompong Khleang floating village experience: what should you expect? Tonle Sap lake experience: what should you expect? Free travel tips in your inbox every week. Only travel tips you’d love, we hate spam just like you do. Travel like a Local with Inspitrip, we connect you to Local Insiders for private, personalized, and off the beaten path experience.